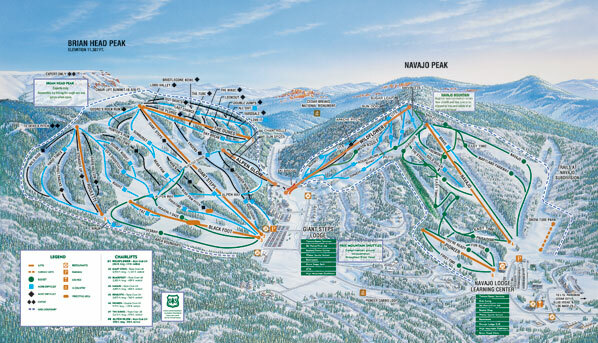 Brian Head Ski Resort is located in Southern Utah, just northeast of Cedar City, UT, USA. The resort offers great ski runs and beautiful views of Cedar Breaks National Monument from the top of the mountain. Brian Head is located just 3 hours away from Las Vegas and definetly worth the drive. Check out the tips below to help you save money on your ski trip to this awesome resort. During the winter months, rooms on Brian Head Mountain typically start at $150 and up. To save money, reserve a room at the base of the mountain in the city of Parowan, UT. Parowan is just a 12 mile (19.31 km) drive to the top of the mountain but the room rates are generally about $50-$100 less per night. Check out the Crimson Hills Motel for an inexpensive place to stay for the night. At Brian Head Mountain you can sometimes find discount coupons online for Monday-Friday lift passes through their website, BrianHead.com. They occasionally offer student discounts mid-week as well and the room rates mid-week are normally less expensive. If you do decide to stay on the mountain, room and lift pass packages can save you some cash. Some cabin and condo rentals include chair lift passes with your room rental. The lift passes are normally $54 each, so the room and lift packages can save you $54 per person. Check out Georg’s Ski Shop for some of these packages! Liftopia.com offers lift ticket and rental discounts when you book your lift tickets online. They’re a great site to find Brian Head passes as well as passes for other ski resorts. If you live in the Las Vegas, NV area, the SnowJam Show held every year, usually in November, is the best way to save on Brian Head lift tickets. Admission to the show is around $15 and includes a lift ticket to Brian Head along with other freebees and discounts to other resorts. Check out their site at SnowJam for the next event. It’s fun to celebrate Christmas in the snow or New Years on the mountain, but keep in mind that lift tickets and rooms are going to be more expensive on Holiday weekends.